Utah Attorney General Sean Reyes, Utah State Senator Daniel Thatcher and representatives from the University of Utah Neuropsychiatric Institute (UNI), Utah Office of Education, and the School Safety and Crisis Line Commission unveiled the SafeUT Crisis & Safety Tipline for Utah students in 2016. The SafeUT Mobile App provides students confidential and anonymous two-way communication with SafeUT crisis counselors or school staff via one-touch options to “Call Crisisline,” “Chat Crisisline,” or “Submit a Tip.” Students using the mobile app will connect directly to a UNI crisis counselor at the UNI CrisisLine and those calling will be routed to the same. For those who do not have access to a smart phone, the Lifeline number 1-800-273-8255 is also supported by UNI. 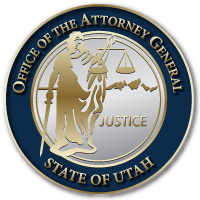 After studying the issue, the Utah Attorney General’s Office and Senator Thatcher proposed legislation in 2014 to form a commission to explore solutions. The legislation passed and the commission was led to the University Neuropsychiatric Institute (UNI), already renowned for their excellence in crisis call support. In 2015, the School Safety and Crisis Line (SB 175) sponsored by Sen. Daniel Thatcher and Rep. Steve Eliason passed the Utah State Legislature designating UNI as the crisis provider and an active commission, chaired out of the AG’s office, for implementation. Senator Thatcher chose to sponsor the legislation after recognizing the statewide epidemic that had personally impacted him numerous times throughout his life. Students can download the SafeUT Mobile app at any time – and will receive training on how to use SafeUT Services by their school administrators. The first round of Utah school administrators were trained over the past six months on school implementation. Utah schools are currently participating or will have the opportunity to participate over the next year, but it is not mandatory. As schools enroll in the program, an online tool will be shared to allow students to report crisis or crime through their school’s website. This entry was posted in Recent Posts and last updated on June 20, 2018 .